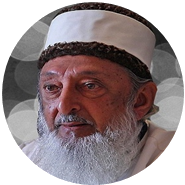 This is the first of four Ramadan Special essays published by Jama Masjid, San Fernando, and written by Islamic scholars Imran N. Hosein and Siddiq A. Nasir, that turn to the blessed Qur’an in an attempt to respond to rampant crime. Rallies, marches, changing Ministers of Government and Police Commissioners, etc., can never be a substitute for knowledge. The next three essays would focus on: ‘Crime and the Philosophy of Punishment’, ‘Crime and the Secular Society’ and ‘Crime and the Family’. Economic ghettos now spawn, to a very large extent, the present endless nightmare of gang and drug warfare, armed robbery, kidnapping, and wanton senseless murder. Those ghettos will dramatically increase when the US dollar collapses totally and the TT dollar faithfully follows its monetary Massa in that collapse. Inflation will increase dramatically, and so too will crime! Is it possible to replace the old corrupt politics of tribal patronage, the corrupt monetary system, as well as the corrupt system of money-lending on interest that has enriched some tribes while impoverishing others and creating ghettos? Our view is that constitutional reform should be primarily directed to the search for a plural model of a state appropriate for a multi-tribal plural society. Only such a ‘power-sharing’ model of state can now prevent the emergence of tribal economic and political dictatorship, and restore a tribal fraternity based on economic and political justice, tribal equality and a free and fair market. Only thus can we hope to extricate the ghetto from economic oppression and the resultant ever-increasing crime. Islam recognizes justice to be the fundamental and indispensable moral value on which stable societies are built. It also exposes oppression (including economic oppression) as a destroyer of social stability. A man who could not read or write, and who never traveled outside of his native Arabia other than two business trips to Damascus, prophesied as such from the desert of Arabia more than 1400 years ago. Only a true Prophet of the One God could have prophesied so long ago that society would one day collapse to become the world in which we now live. The politics of patronage, in which governments favor some over others, corrupts and destroys both the ‘free’ as well as the ‘fair’ market. In addition, those who benefit from state-sponsored patronage eventually become so internally corrupted that they believe they have a right to rob, kidnap and even murder in order to eat bread without having to sweat for it. The Qur’an has responded to declare that “. . . man is entitled to nothing except that for which he labored” (Qur’an, al-Najm, 53:39). This writer worked in the Ministry of Foreign Affairs of this country for some years and had direct experience of tribal patronage in employment, job promotion, diplomatic posting, etc., in that Ministry. The same was largely true of the rest of the Public Service, Police Service, Armed Forces, Central Bank, etc. Justice Vollney recently removed the cover of a garbage-bin to expose the stench in other places as well. This essay argues that the politics of tribal patronage breeds crime! The falling value of money (that was created out of nothing) destroys the free and fair market as it results in a massive and unjust transfer of wealth. The masses are ripped off and their ‘loss’ becomes the ‘gain’ of a predatory elite. It eventually breeds rampant crime. The wickedness is compounded when governments around the world are required to submit to the authority of an International Monetary Fund which has mysteriously banned the use of gold as money (Art. 4 Section 2-b of the Articles of Agreement). And so, although ruthless despicable enemies have mercilessly attacked the Zimbabwe dollar, and although that country is a major producer of gold, yet it cannot introduce gold coins in the market to solve the problem of runaway inflation since such a natural solution is unjustly prohibited by the slave-master’s so-called international law. Political parties, governments, banks, businessmen, etc. who construct, support and justify a usurious economy will one day have to answer for the economic injustice that results. Unless they turn away from such economic injustice, crime will continue to haunt the whole society. The link between economic injustice and today’s crime-ridden society would, of course, be dramatically broken when Jesus (peace be upon him) returns and gold and silver coins are restored as money, money-lending on interest is put to the sword, the hand of the thief is cut off, and justice prevails in a free and fair market. Truth would then triumph over all rivals. At that time those now waging unjust war on Islam and oppressing Muslims in order to preserve their barbaric economic and political dominance over all of mankind, would be consigned to the garbage-bin of history!